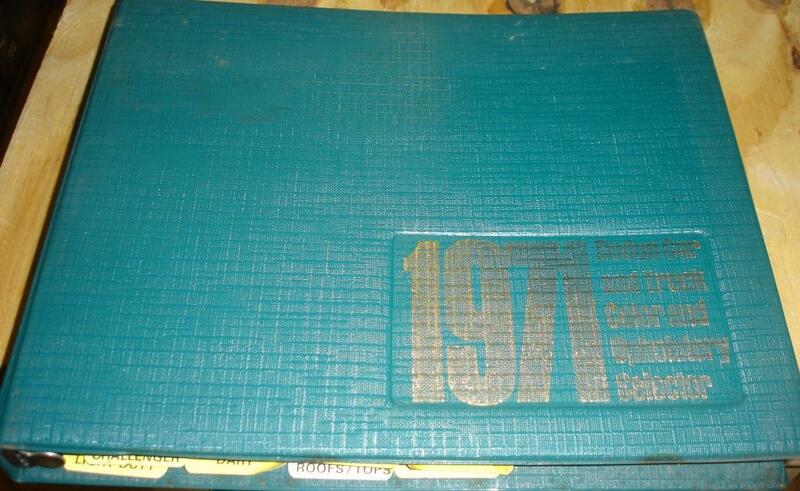 We have a lot of Mopar Databooks in stock, in various conditions. 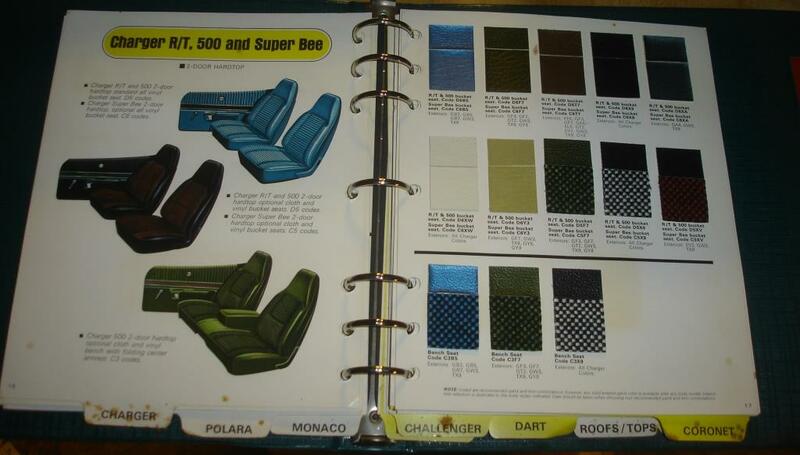 These are the books used in the dealership showrooms to show the available options, paint colors and interior fabric/vinyl/leather choices. We show a sample of one in the picture below. But all years and makes are essentially the same in look. Please call for pricing and condition. 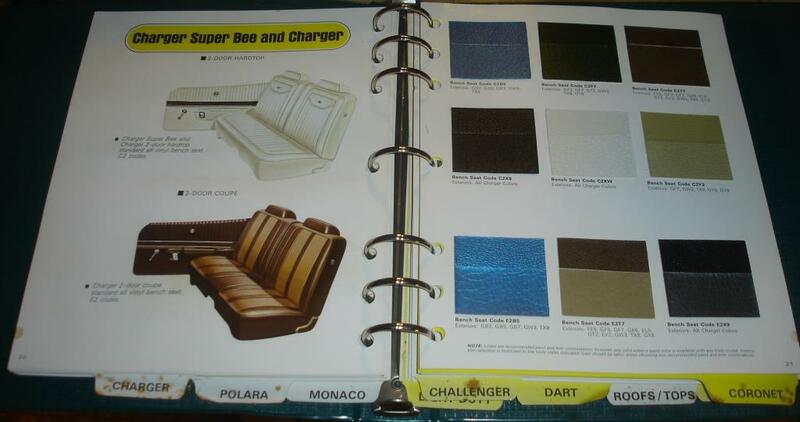 Most of our Parts Books came from dealerships and are used, some might be collector quality, but most are well used. These are not reprints. 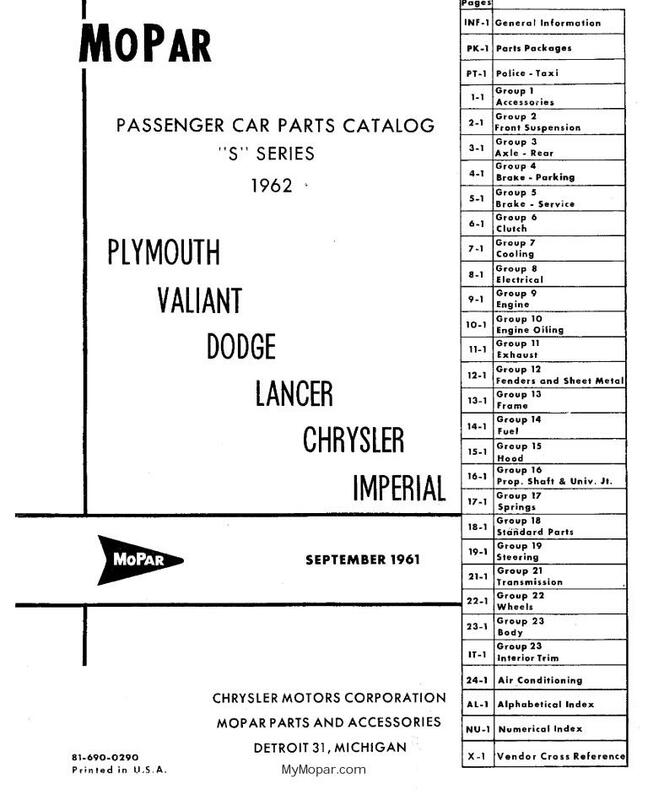 These are the books used in the dealership parts departments that include every section of the vehicle and provide part numbers and diagrams of internal systems. In a lot of cases the diagrams are just as useful as the service manuals, showing how the parts fit together. Please call or email for pricing and condition, and specify if you need a collector quality or just to look up part numbers. Here are a few samples. 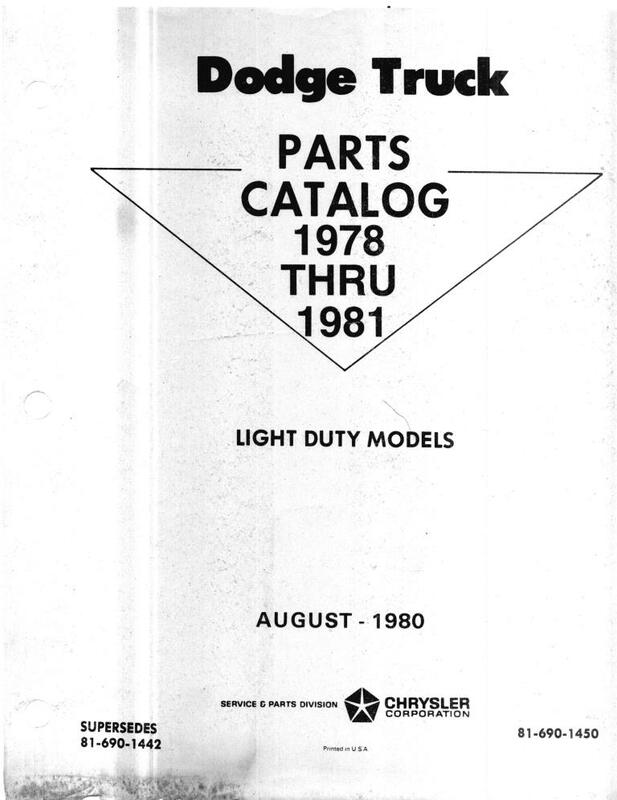 Most of our Service Manuals came from dealerships and are used, some might be collector quality, but most are well used. These are not reprints. These are the books used in the dealership service departments that include every section of the vehicle. Please call or email for pricing and condition, and specify if you need a collector quality or just to fix your vehicle. We have books going all the way back to the 30's, both car and truck. Here are a few samples. 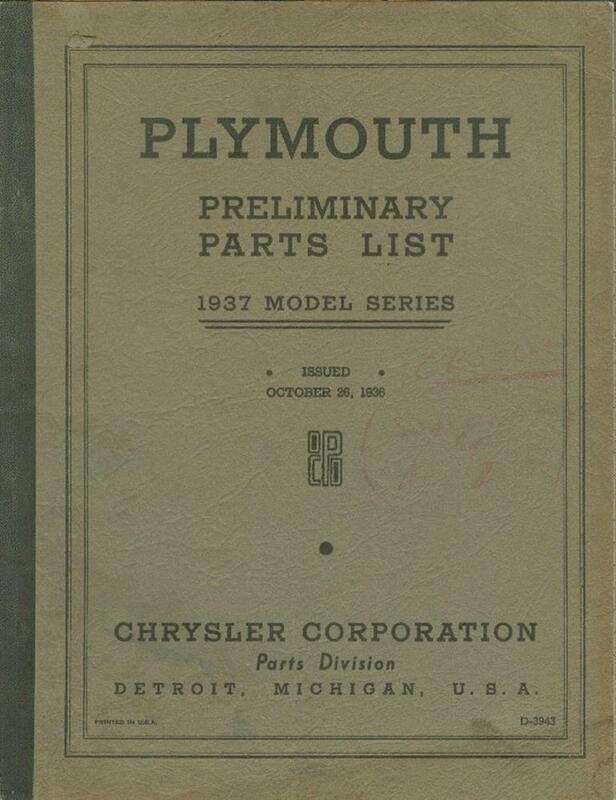 We also have Accessory Parts Books, Owner's Manuals, Sales Brochures, Direct Connection/Mopar Performance catalogs, and other Literature for your vehicle. Please call or email for pricing and condition, and specify if you need a collector quality or just readable condition.